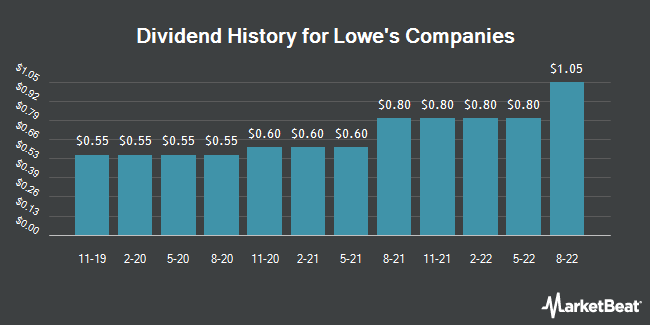 Lowe's Companies pays an annual dividend of $1.92 per share, with a dividend yield of 1.68%. LOW's next quarterly dividend payment will be made to shareholders of record on Wednesday, May 8. The company has grown its dividend for the last 56 consecutive years and is increasing its dividend by an average of 20.40% each year. Lowe's Companies pays out 37.35% of its earnings out as a dividend.